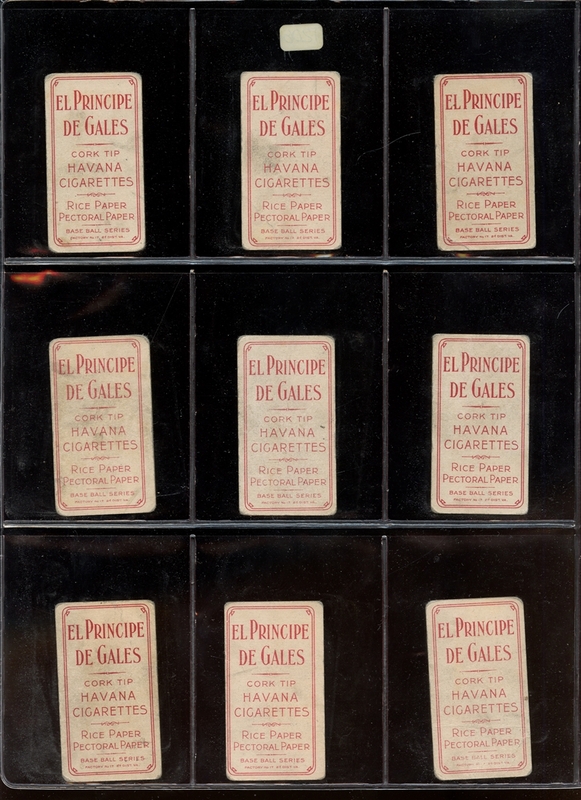 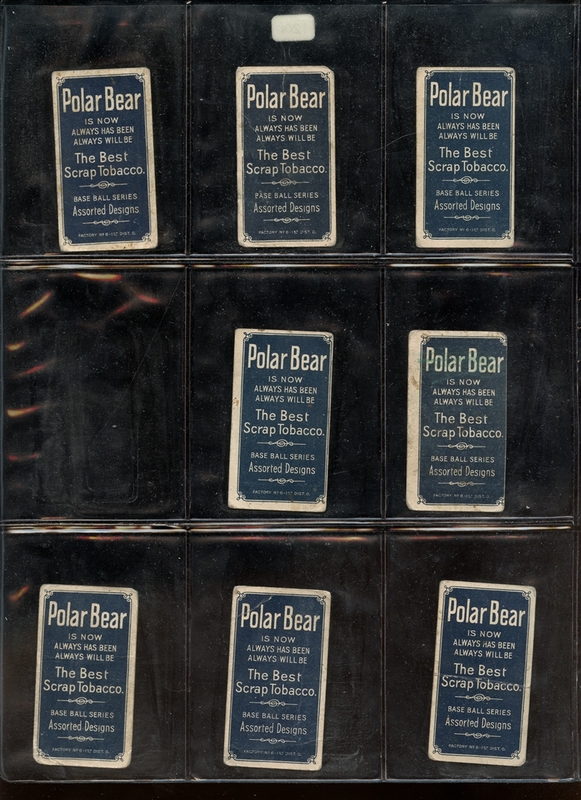 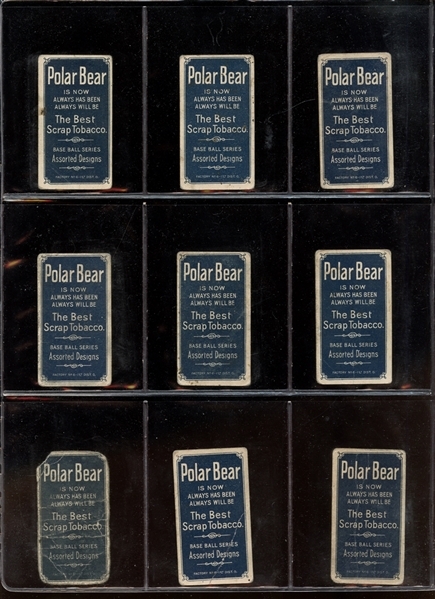 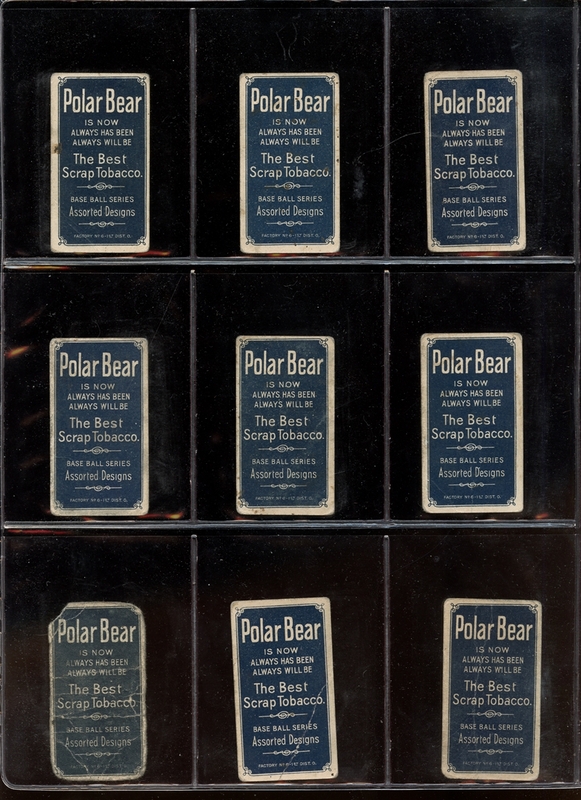 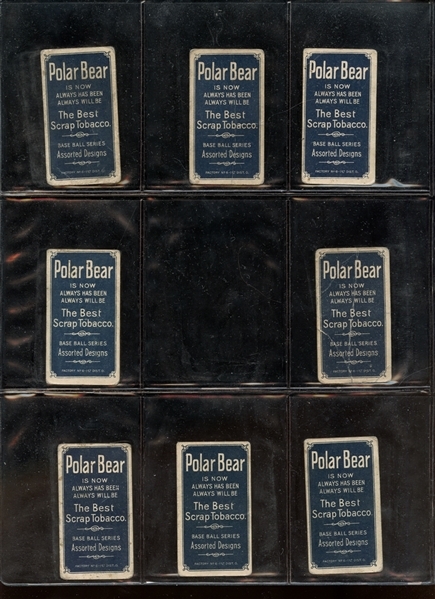 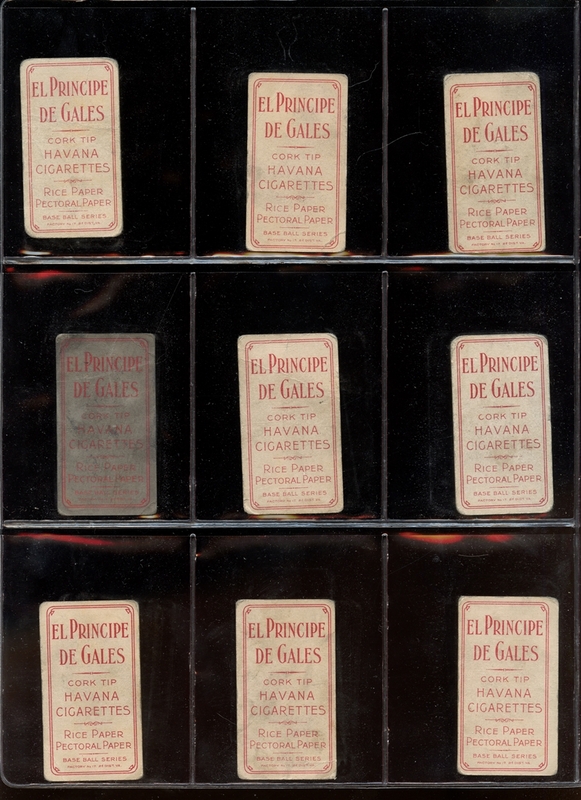 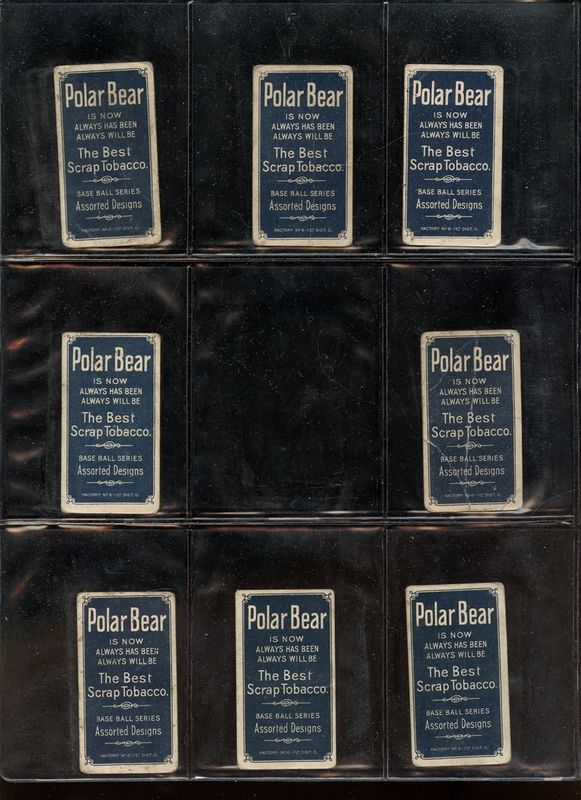 Here's a generous collection of 69 cards from the iconic T206 series, each carrying the Polar Bear or El Principe De Gales reverse. 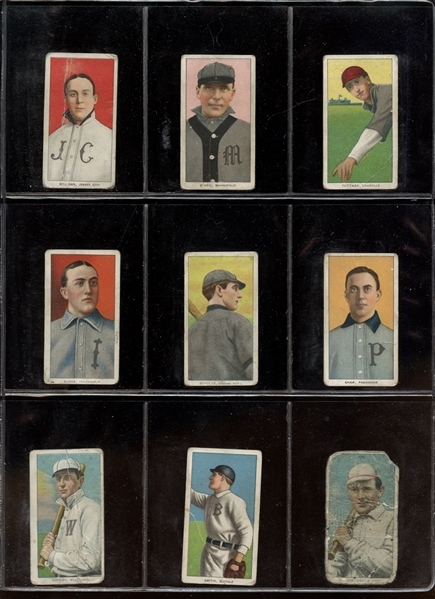 with Hall of Famers G. Davis (Chicago EPDG GOOD+), Jennings (Portrait EPDG GOOD) and (2) Marquard (Hands at Side EPDG GOOD and POOR). 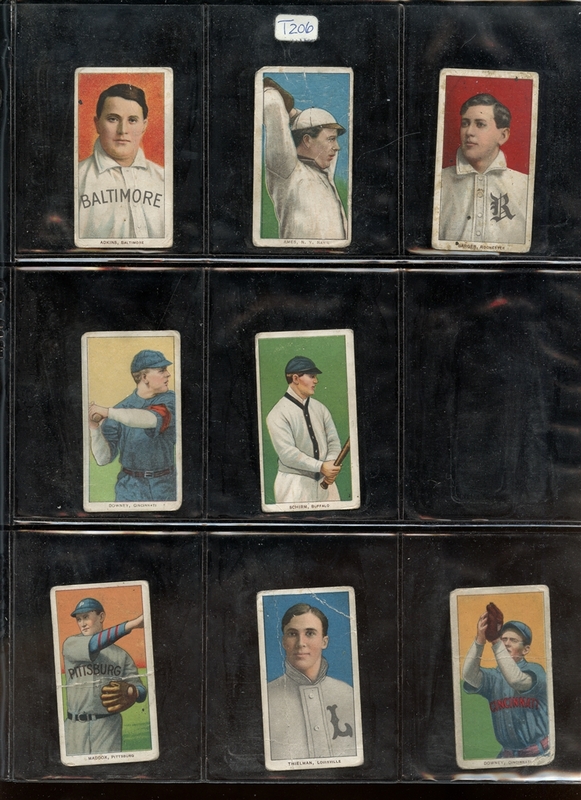 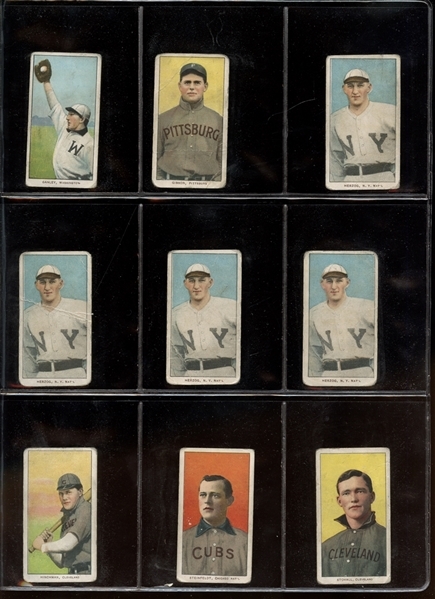 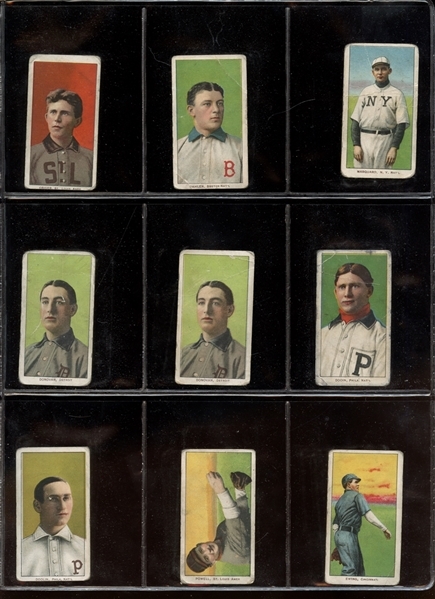 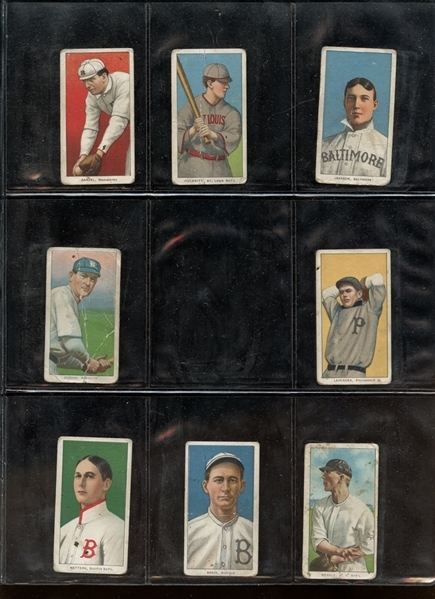 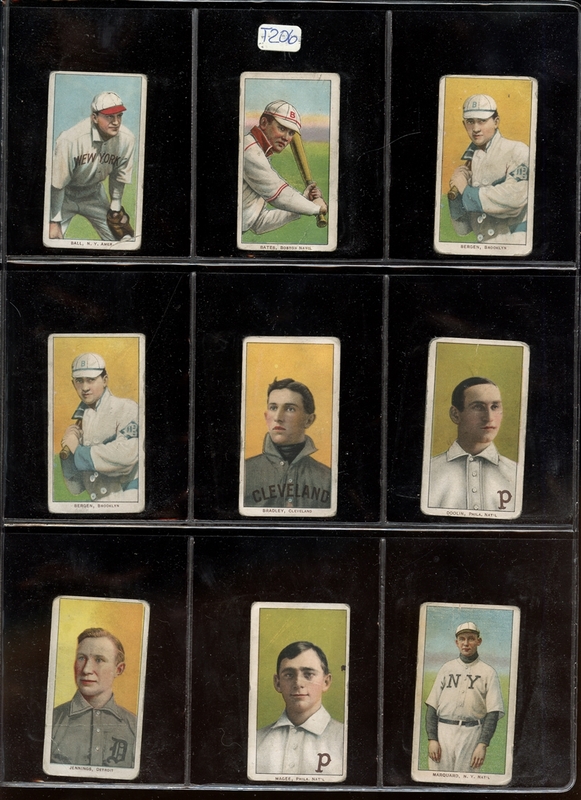 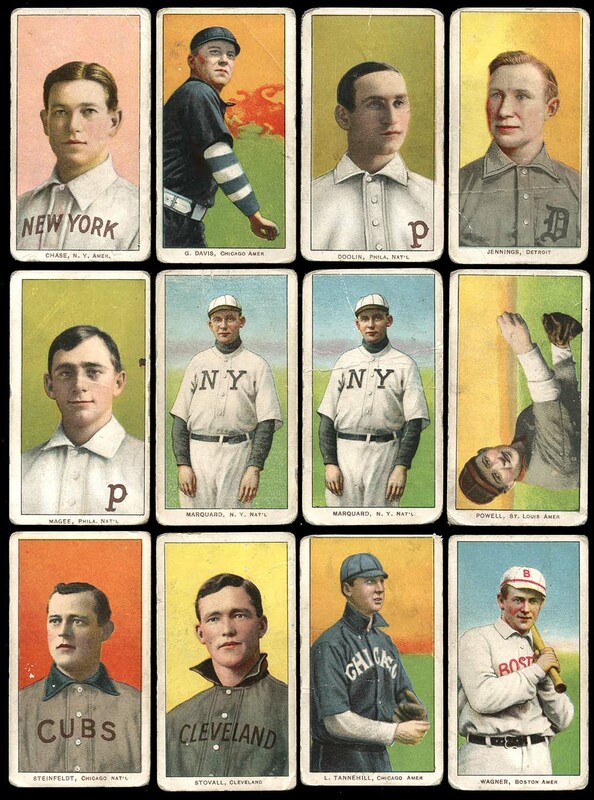 The rest of the cards are generally POOR to FAIR with a few higher and includes the following: Polar Bear backs - Adkins, Ames, Barger, Brain, Burke, Conroy, Downey, Downey, Ganzek, Hulswitt, Jackson, Jordan, Lavender, Maddox, Mattern, Merkle, Milligan, O'Neill, Puttman, Schulte, Shaw, Shirm, Smith, Theilman and Wagner. Cards with EPDG backs include Ball, Bates,(2) Bergen, Bradley, Chase (pink), Criger, Dahlen, (2) Donovan, Dooin, (2) Doolin, Ewing, Ganley, Gibson, (4) Herzog, Hinchman, Jones, (2) Konetchy, (2) Lindaman, Lumley, Magee, McQuillan, O'Leary, Powell, Rucker, Seymour, Shaw, Spencer, Steinfelt, Stovall, Tannehill, Wagner and Weimer.